Hospitals are beginning to use biometric systems to prevent errors in identifying patients, The Wall Street Journal reports. Since there is no national identification system, health systems are looking for other solutions. Proponents see biometric technology as an emerging patient safety tool increasingly accepted due to its use in smartphones, border security and elsewhere. However, experts argue health systems need practices to guard against breaches of health information tied to biometrics. Harris Health System, which serves Houston and other cities of Harris County, Texas, implemented palm-vein scanning in 2011. The health system has 138,000 cases in which two or more patients have the same first and last names and dates of birth, said CIO Tim Tindle. Mr. Tindle said palm-vein scanning has helped manage this issue for the three-hospital system, which also has about 40 clinics and diagnostic and outpatient centers. New York City-based NYU Langone Health uses biometrics technology to improve patient experience. The technology has speeded up service for patients because after their initial registration they can sign in quickly with registrars and kiosks for later visits by giving their date of birth and scanning their palms, said CIO Nader Mherabi. New Hyde Park, N.Y.-based Northwell Health introduced a biometric system using iris scanning and facial recognition in September. Northwell aims to finish a systemwide rollout early next year, said Laura Semlies, vice president of digital patient experience for the 23-hospital system. After using biometrics to enroll at one Northwell location, patients will not have to resubmit their information when visiting another facility. The health system also is testing new identification technology for patients seen in hospitals and stand-alone surgery and emergency medicine centers. Northwell plans to apply a sticker to patients' skin after they are registered using biometrics. 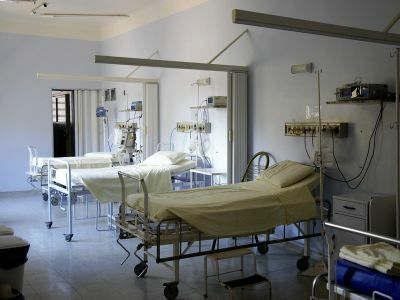 Northwell is testing version of the sticker that uses radio-frequency-identification technology to identify patients in the neurosurgery department of a New York City hospital, Ms. Semlies said. Healthcare professionals will have to work together and create a variety of strategies to improve patient identification, said Lesley Kadlec, director of policy and state advocacy engagement for the American Health Information Management Association. "We're all optimistic that biometrics has a future in patient matching," she said.